How Much Space Do You Really Need For Your Home Treadmill? 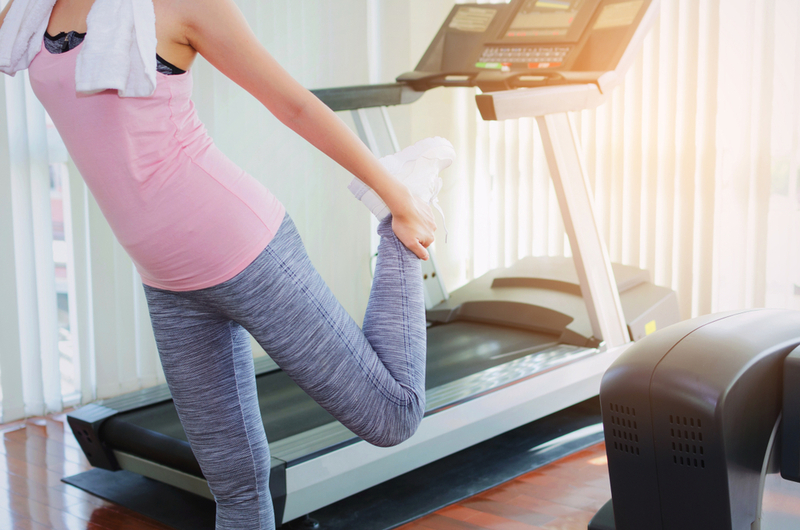 While hunting for treadmill coupons and the best deals possible, there may be a question you haven’t considered; how much space do you need for your new treadmill? Well, depending on what treadmills you have been looking at, that answer can vary quite a bit in ways which might surprise you. To help illustrate how much space different treadmills will take, we’ve picked out two NordicTrack treadmills that are opposite ends of the spectrum when it comes to price and features. While they both retain the high-quality of the NordicTrack brand, these treadmills do have distinctly different space requirements. Take the NordicTrack X22i Incline Trainer. This treadmill is one of the best offered by NordicTrack, with an impressive -6% to 40% incline range, 4.25 CHP motor, and other outstanding features. It measures nearly 6 ft in length (70.2”), a little over 3 ft wide (39.6”), and almost 6 ft tall (71.6”). That takes up considerable space in any room, and you need to consider that if you want to incline all the way up to 40%, that you need to have high enough ceilings that you stay safe. This incline trainer, like all NordicTrack Incline Trainers, do not fold, so those space requirements will stay consistent. When it comes to the NordicTrack C990, it is still a good treadmill but certainly doesn’t have the specs of the X22i. With this treadmill, you can enjoy a 3.0 CHP motor, an incline range of 0% to 12%, decent warranty coverage, and other helpful features. What will likely surprise you is that the C990 is actually longer than the X22i, measuring about 6.5 ft (79.5”) in length! The width and height are smaller, respectively measuring nearly 3 ft (35.5”) and about 5 ft (60.3”). This length difference comes down to the positioning of the console and frame, and in the case of the C990, you can fold up the deck and greatly reduce the required floor space when the treadmill is not in use. So, we highly recommend you always measure your available space carefully before you invest in a new piece of workout equipment. Here at NordicTrack Coupon, we want to help ensure that you save money on your NordicTrack treadmill, no matter what treadmill you end up picking. That’s why we have five different promo codes and coupons that will apply to all of the treadmills currently for sale on NordicTrack. All you need to do to save is click on the coupon that’s right for your intended purchase and then shop on NordicTrack as you normally would. When you go to complete your treadmill purchase, you will see our coupon code savings in the “Promotions” section of your cart summary, and you can enjoy your new treadmill knowing that you saved the most possible on a great machine.